Loving on the burlap trend? 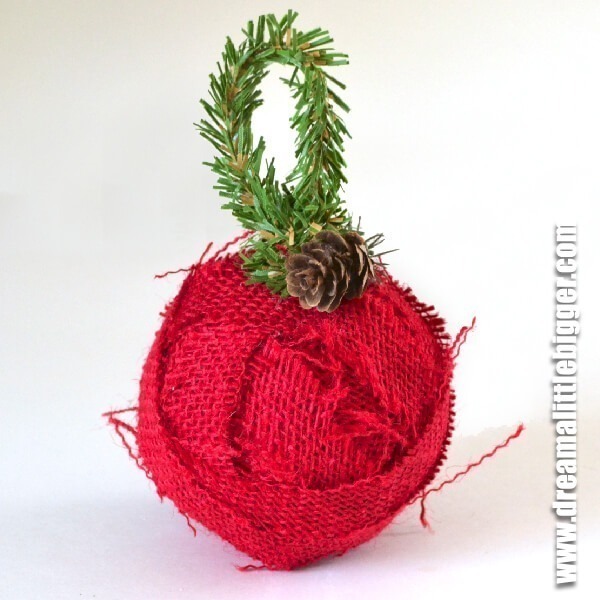 I’ll show you how to make some rustic burlap ornaments for your tree that won’t break the bank! Hello, Sugar Bee Readers! 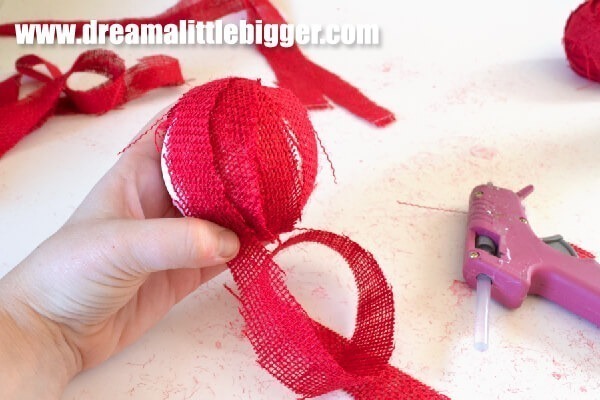 My name is Allison and I’m the crafty cat lady that just won’t stop over at Dream a Little Bigger. 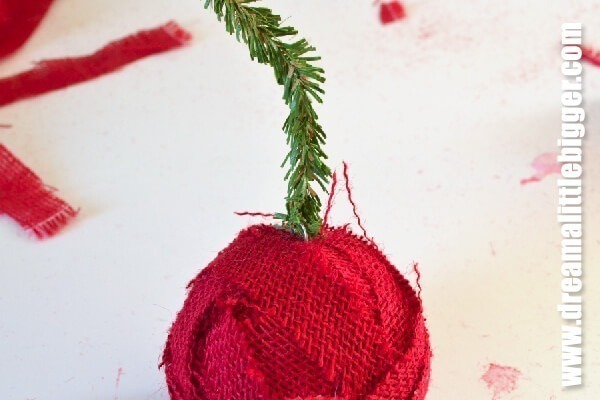 First take your burlap and cut into thin strips, about an inch wide. Burlap naturally frays and we’re going for that look so no worried when it starts to come undone on you. 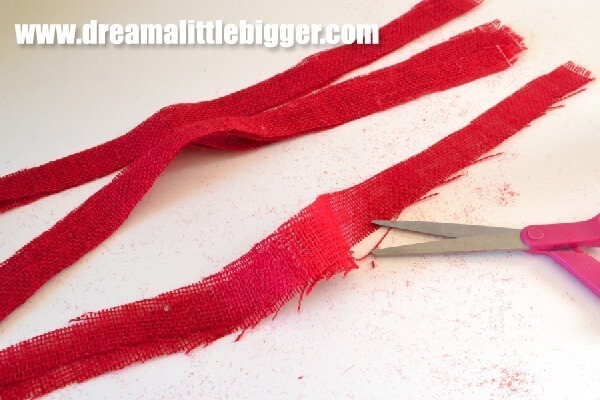 Your strips don’t need to be perfect, just cut and go. 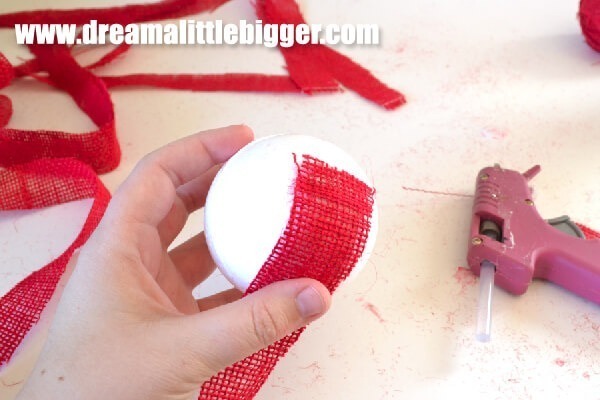 Put a strip of hot glue directly onto your Styrofoam ball. Carefully pat the burlap down onto the Styrofoam being very careful because the glue will come up through the holes in the burlap. 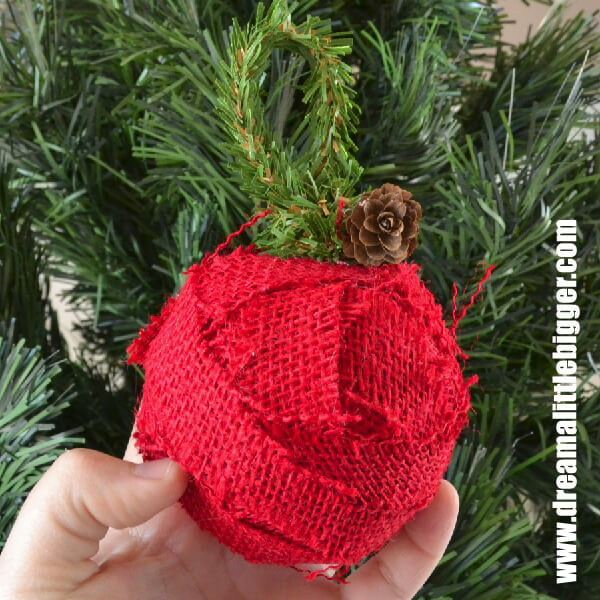 Start wrapping the burlap around the ball and glue down when you reach the end. Keep adding strips until you are happy with the coverage… I used 2.5 per ornament. 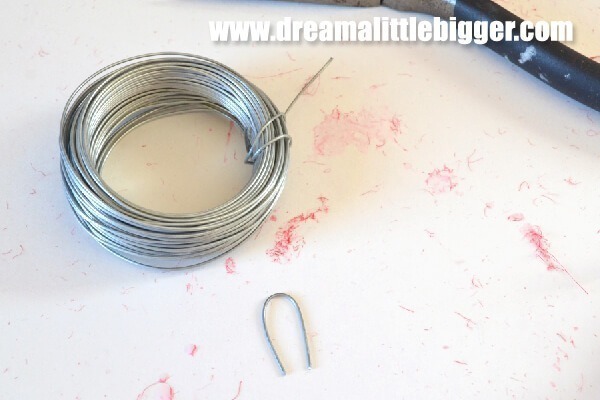 Take some heavy duty wire (like from the toolbox) and cut a piece about 1.5 inches long. Bend over to form a “U” shape. Push through the burlap and into the foam. Apply hot glue to keep firmly in place. I found these super neat artificial pine pipe cleaners at Hobby Lobby so that is what I am using. You can also use a pretty thread. 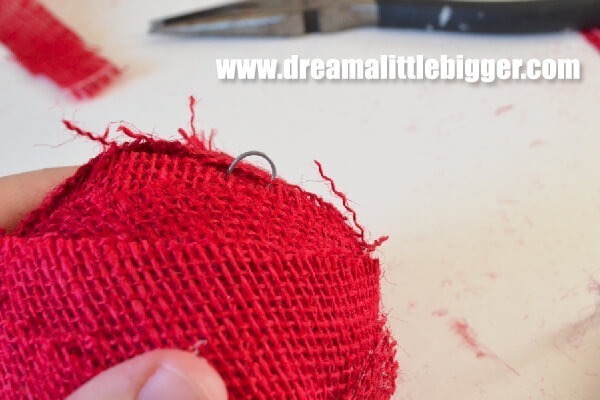 If using a pipe cleaner, form a loo and the wrap the excess around the base of that loop. Embellish as you see fit and you’re ready to start on the next one! 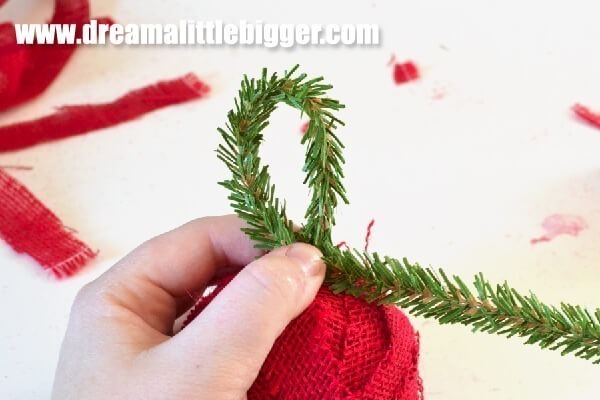 Thanks so much for having me here to share my Christmas ornament craft and I’d love if you’d check out my blog Dream a Little Bigger and what craftiness I’m up to. 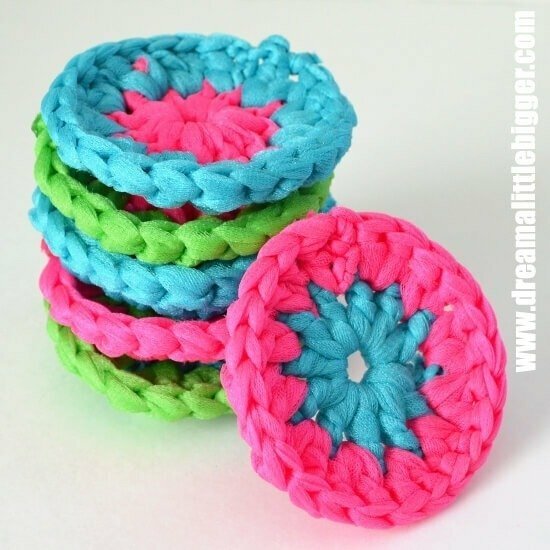 I’ll show you how crochet up some neon pot scrubbers. They make a great stocking stuffer! 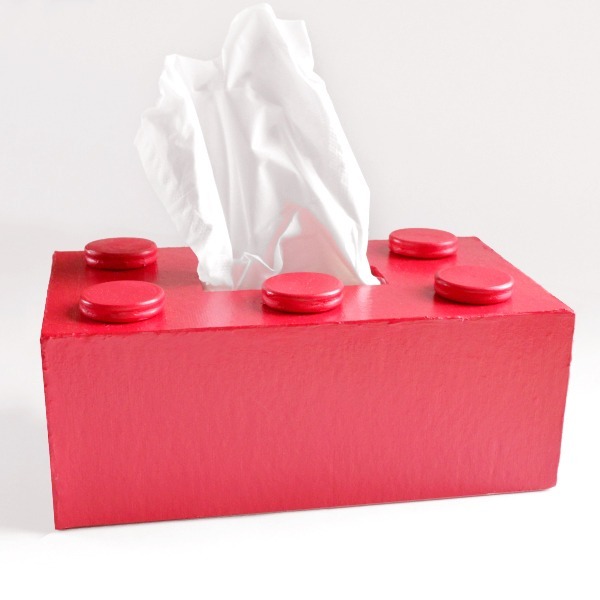 And we’ll knock out a LEGO inspired Kleenex tissue box cover for the LEGO lovers in your family. Hope to see you soon! great idea!!! i´ll do it for christmas! kisses!